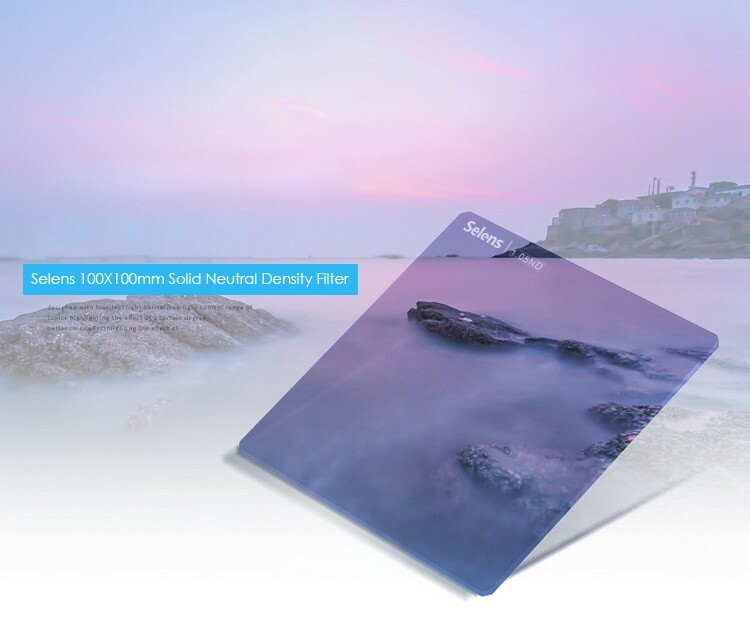 The Selens 100 x 100mm Neutral Density Filter is a solid neutral density filter providing a stop reduction in exposure. This density creates a darkening of the entire image, allowing you to photograph with a wider aperture or slower shutter speed than normally required. By slowing your exposure time or increasing your aperture, you are able to control depth of field and convey movement more easily. This filter is constructed from a high quality optical glass for high definition and clarity. It is compatible with the 100mm Filter System, which is designed for use with most lenses and camera types. This filter measures 3.9 x 3.9″ / 100 x 100mm. – 100 x 100mm neutral density filter darkens the image, allowing you to photograph with a longer shutter speed or wider aperture than normally required. – Providing stop exposure reduction, this filter allows you to control depth of field and convey movement more easily. – Each surface includes one layer of Selens Optical AR Coating that attenuates infrared light as well as visible wavelengths, to maintain color neutrality and suppress color casts due to increased exposure times. – AR coating provides an improved beading effect with water or oil for more efficient cleaning. – Constructed from optical glass for clarity. 1 x Solid Neutral Density Filter.